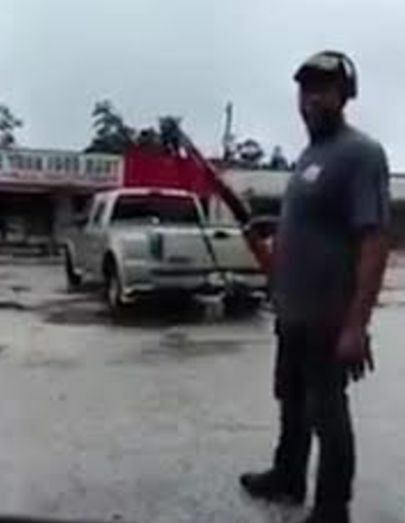 A now-viral video shows a man claiming to be a former police officer holding a shotgun in a Houston-area parking lot, threatening a grocery-store looters during Hurricane Harvey’s aftermath. 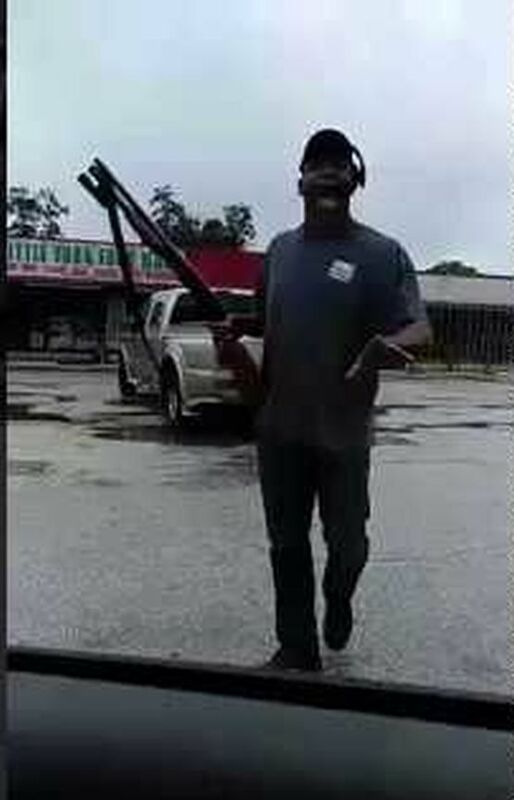 The man, who was not identified, shouted at people approaching the Little York Food Mart store, “Hey, don’t you go back in that store! I’m telling you one time. I’m not scared to shoot you,” the vigilante tells someone, claiming that he’s as an ex-S.W.A.T. deputy. He also threatened another person, saying he would “cut” them “in half” with his shotgun blast. The video can be viewed here (WARNING: There is some profanity). It’s unclear where the clip was captured. “I grew up in this area, I’m a former law enforcement officer, so I understand what the law says. 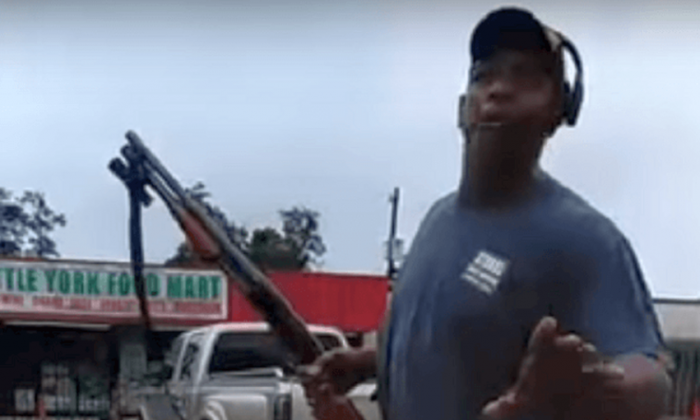 If you’re looting, you’re stealing,” the man told the woman. There have been reports of looting throughout the Houston area after widespread flooding. The looters, he said, should dedicate their energy to help people rather than steal. “We need more real men out here,” he told the women in the clip. To deal with looting, Houston Mayor Sylvester Turner imposed a mandatory curfew in the city from midnight until 5 a.m.
It’s a “tool to assess the intentions of the people who are out there,” Houston Police Chief Art Acevedo said, ABC News reported. Now, police will stop assisting in search-and-rescue missions and will be “going after criminals and keeping the good people of Houston safe,” Acevedo said. Turner warned of people impersonating police officers and other officials going door-to-door, telling people that evacuations are mandatory.